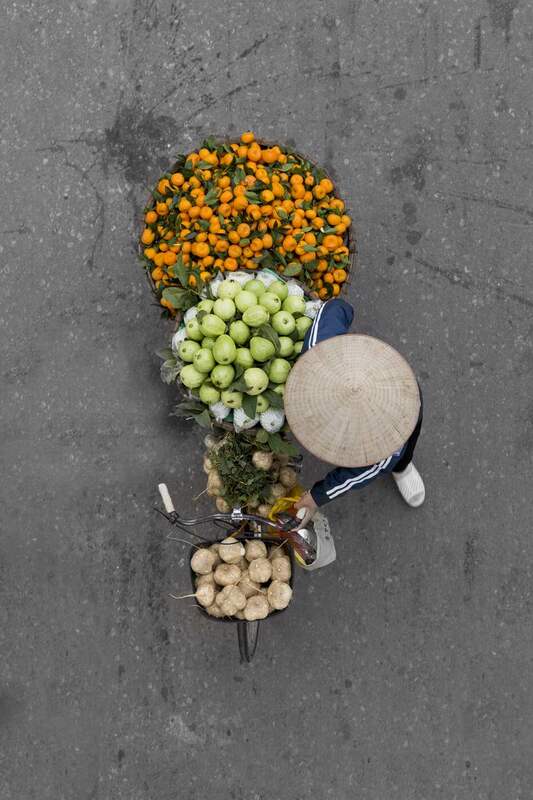 ‘Vendors From Above’ - a collection of aerial shots of the vivid hawkers of Hanoi. 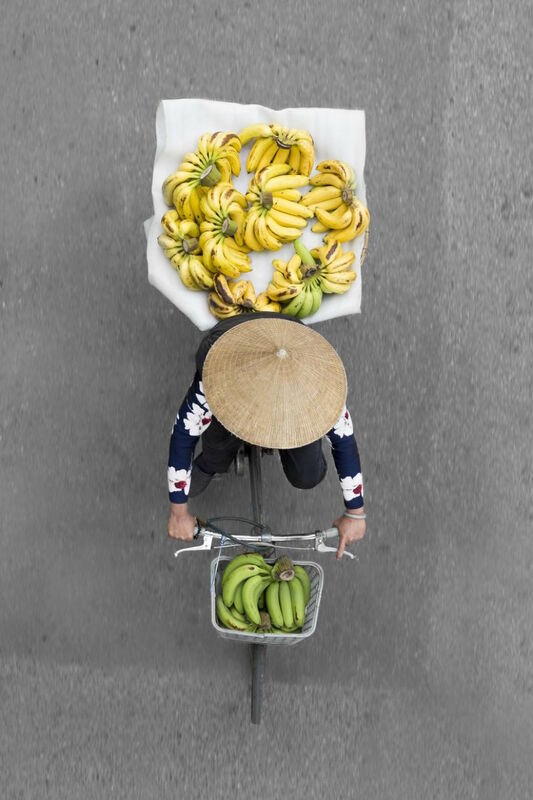 For over a year, Dutch photographer Loes Heerink spent her days perched on city bridges, high above the streets of Hanoi, Vietnam. 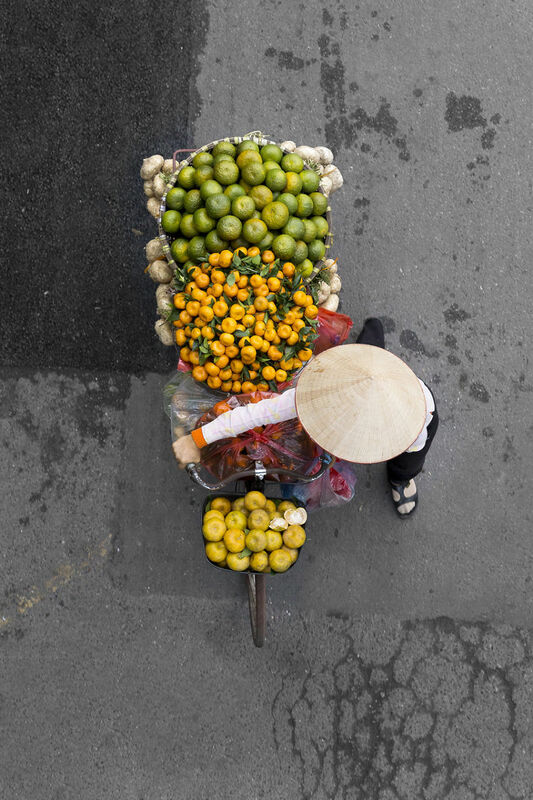 Here she waited with her camera for street vendors to pass beneath her on their bicycles. 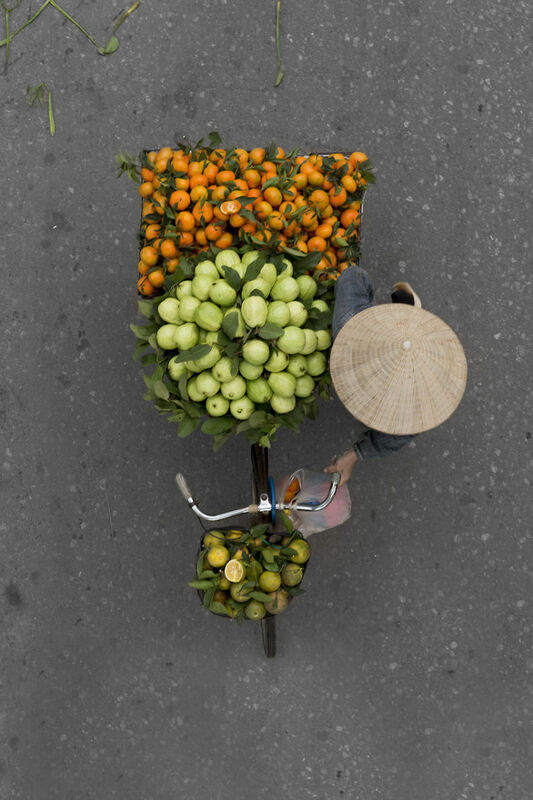 Transporting fruits and flowers of all kinds, Heerink became fascinated by the market peddlers who to her seemed completely unaware of the stunning visuals their colourful loads formed. 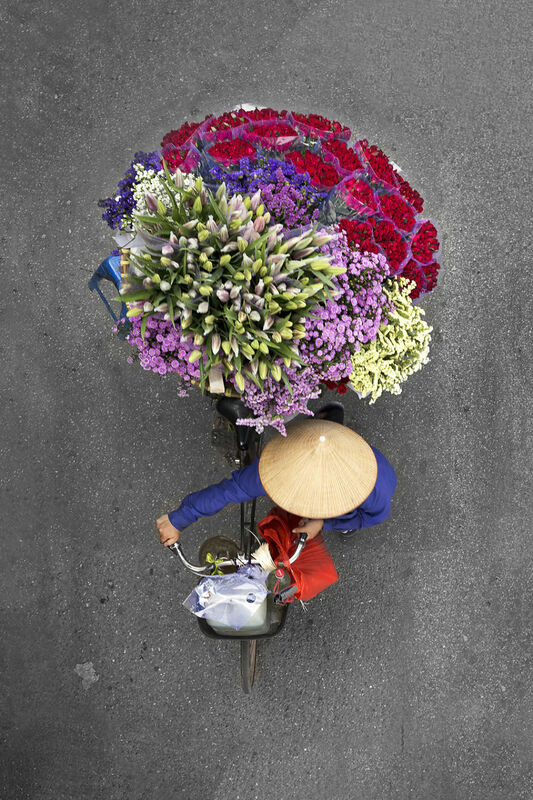 ‘Vendors From Above’ is her photographic tribute to this sight. 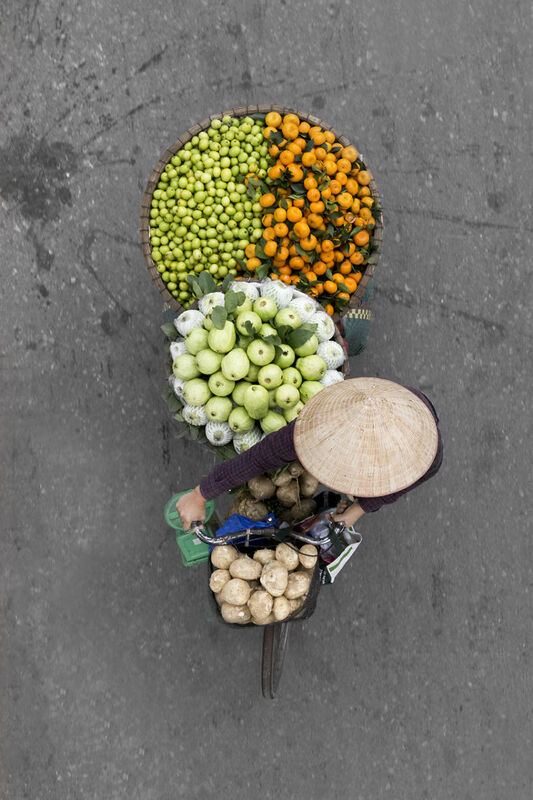 “I would spend hours on top of a couple of locations in Hanoi waiting for vendors to walk underneath the bridge,” Heerink says. 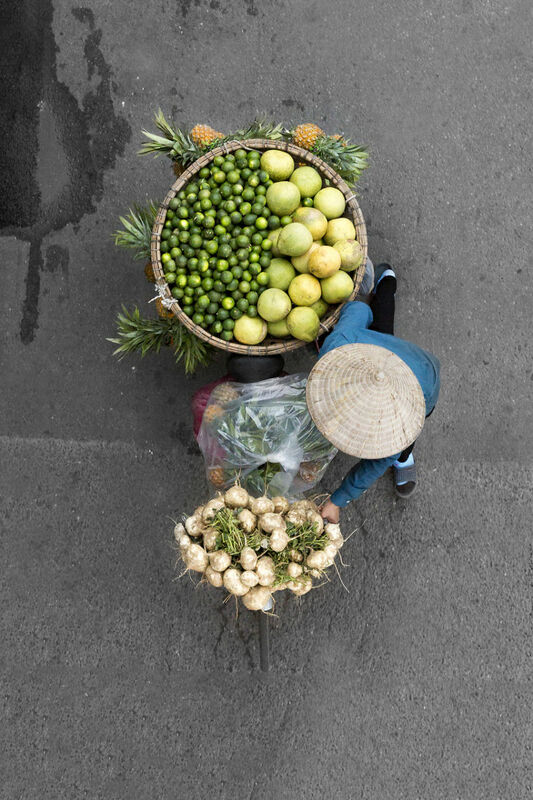 “I once spent five hours on a location with no shots.” Her elevated, precarious vantage point offered a unique view of the traders, one that many photographers these days might only manage with assistance from drones. 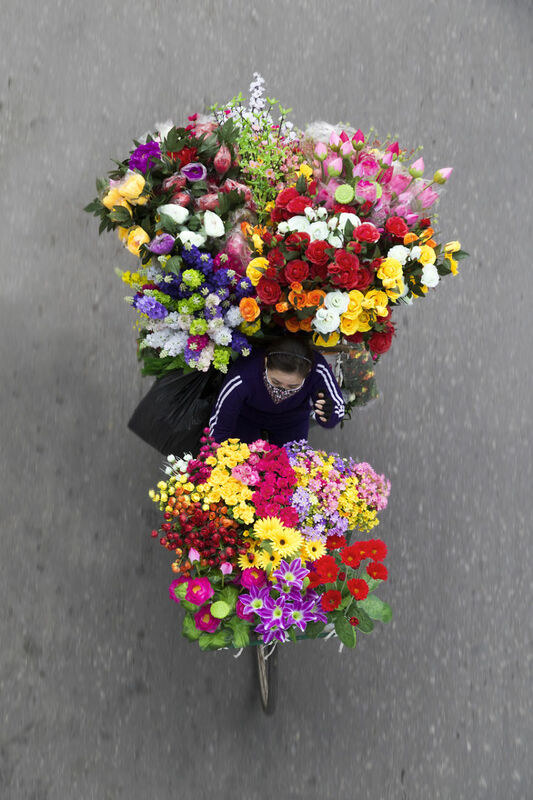 Most of the workers Heerink photographed are female migrants who spend their days selling produce, flowers and other goods. These women rise as early as 4am most mornings before loading their bicycles with as much as they possibly can, covering countless kilometers every day. After speaking to some of the women whose images she captured, she learned more about their difficult lives, their struggle to make ends meet and the challenging conditions that they work under.